The essays in this collection were originally presented as talks at the Poe Studies Association's Third International Edgar Allan Poe Conference: The Bicentennial in October 2009. 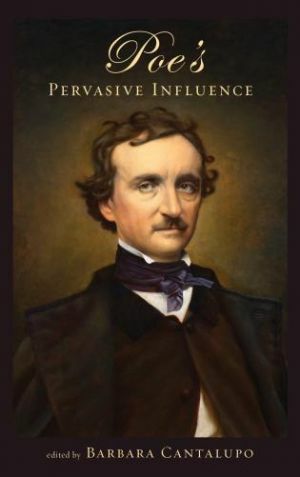 All the essays in this volume deal with Poe's influence on authors from the United States and abroad; in addition, the collection also includes two examples of primary texts by contemporary authors whose work is directly related to Poe's work or life: an interview with Japanese detective novelist Kiyoshi Kasai and poems by Charles Cantalupo. This volume includes interpretative essays on international authors whose work reflects back on Poe’s work: Edogawa Rampo from Japan; Lu Xun from China; Fernando Pessoa, Eça de Queirós and Ramalho Ortigão from Portugal; Angela Carter from England; and Nikolai Gogol from Russia. The essays in this collection complement and extend a project begun by Lois Vines' Poe Abroad (University of Iowa Press, 1999) and take a wider perspective on Poe's influence with essays on Poe's impact on American authors William Faulkner, Mary Oliver, Joyce Carol Oates, Nathaniel Hawthorne, Herman Melville, and Harriet Jacobs. Poe’s Pervasive Influence is the long-awaited collection that grew out of the Third International Poe Conference in 2009, sponsored by the Poe Studies Association to celebrate the bicentennial of Poe’s birth. [Its] essays have a freshness that warrants the careful attention of those drawn to the international scope of Poe’s work—as well as to Poe’s potential to influence more generally. . . . The volume coheres in a way that is rare for published proceedings, largely because of Cantalupo’s clarity of vision regarding how Poe has informed and inspired important and original international writers—most notably Edogawa Rampo in Japan, Fernando Pessoa and others in Portugal, and Nikolai Gogol in Russia—as well as how Poe has been taken up and sometimes taken to task by American authors.